Carbide-Tipped contact points for durability. Interchangeable anvils to perform close tolerance ID measurements. 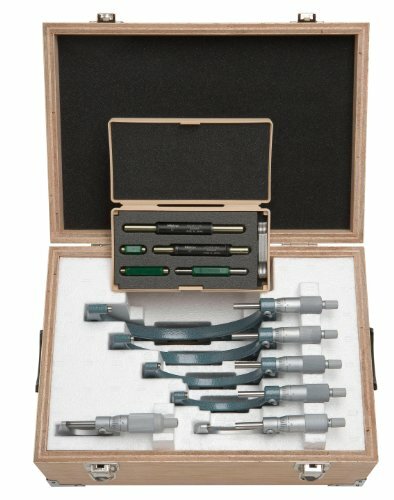 The Mitutoyo 103-907-40 Outside Mechanical Micrometer Set has a measuring range of 0-6" with .0001" Graduation and includes 5 Micromters 103-135, 103-136, 103-217, 103-218, 103-219 and 103-220 with 5 Micrometer Standards.